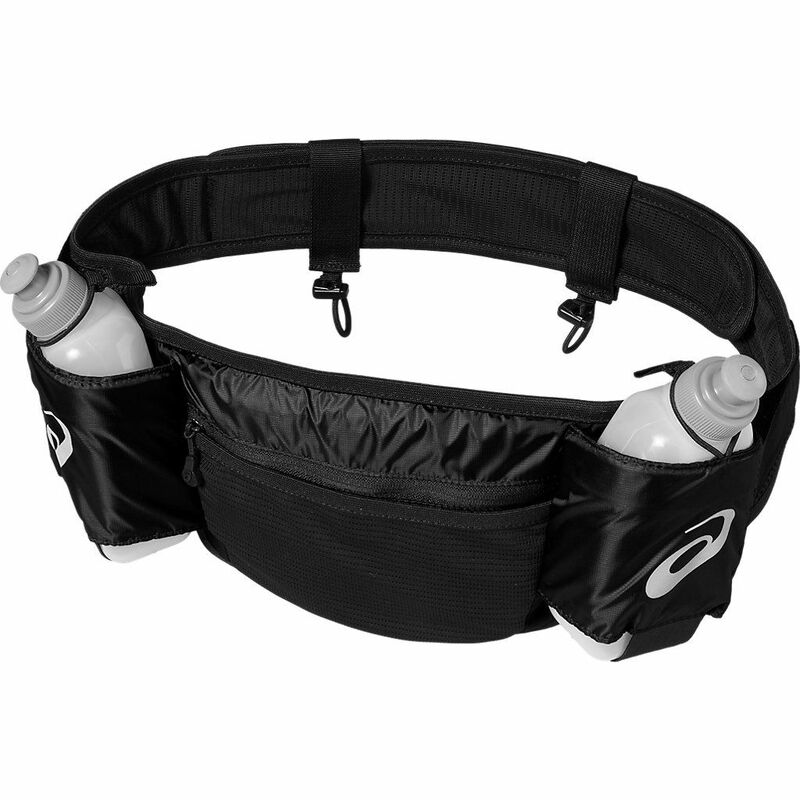 Incorporating a stretch band structure for an optimal fit, the Asics Water Bottle running belt can hold a pair of 300ml bottles delivering enough hydration for a lengthy running session. The belt offers a comfortable cushioning made from well-ventilating airmesh fabric providing a soft and cool feel, and the beverages are easily accessible due to well-thought design. Additionally, there are two extra pockets allowing you to store valuables and small items conveniently, and the belt features reflective details for enhanced visibility when jogging in the evening, or in poor weather conditions. for submitting product review about Asics Water Bottle Running Belt.